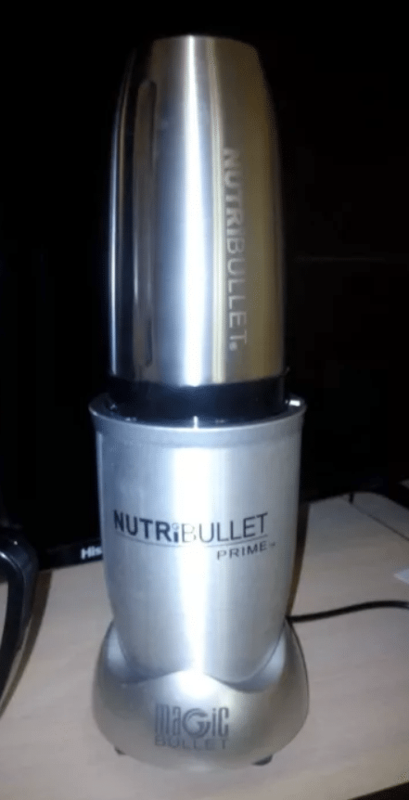 NutriBullet Prime vs. Pro – Which is the Best? To understand Nutribullet comparison, it is crucial to understand what is Nutribullet. NutriBullet is a company which makes juicers, mixers as well as blenders. It is very famous for its various products. The most famous products of NutriBullet are its blenders. The sales of blenders are found to be more than the other products as users have a growing need for blenders. In some products of NutriBullet, there is a system of Mixer as well as Blender. Everyone is raving about this nutrition extractor nowadays, and there are reasons behind it. It is much more than just a blender — the NutriBullet breaks down the fruits & vegetables to extract the maximum nutrition from the food. The different NutriBullet products are NutriBullet, Nutribullet Pro, Nutribullet Balance, and Nutribullet RX. The original NutriBullet comes in two types; NutriBullet 600 and NutriBullet 900. Unlike every other juicers and blender, the NutriBullet completely breaks down the ingredients into their most nutritious, most absorptive state. Let us learn about the working and making of NutriBullet. 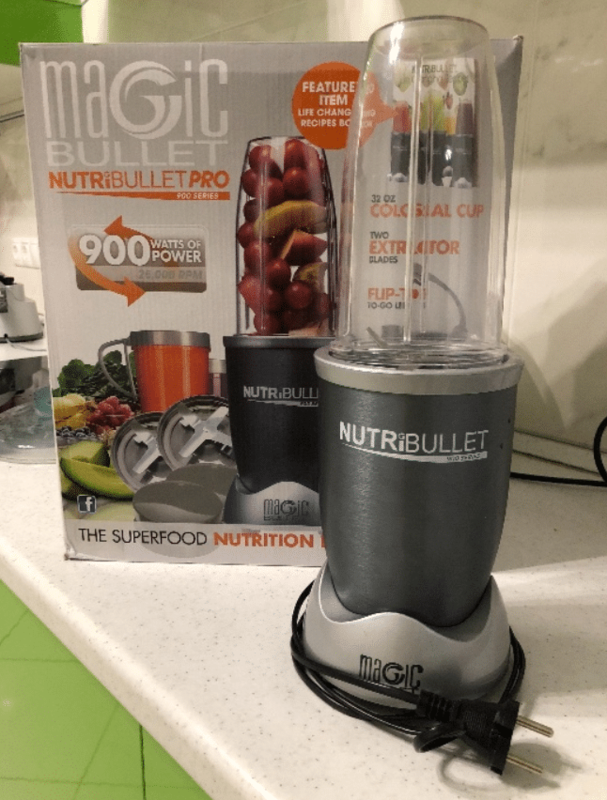 It has a powerful motor, an ingenious bullet cyclonic technology and specially designed Extractor Blade which you can use to pulverize fruits, vegetables and easily make nutritious protein shakes and green smoothies. There are many products of NutriBullet in the market. When buying a NutriBullet product, you get a lot of options which can get you confused on which particular one to choose. We aim to clear this confusion with the help of reviews and the pros and cons of NutriBullet products. There are many criteria to keep in mind while finding the best NutriBullet product. Buyers usually prefer products that are portable and can take quite a load. So if you are among those, then the Nutribullet series is just meant for you. It’s easy to use and can deliver the best of output in very less time. But to ease it up for all buyers, we have listed all the details you ought to know before buying any of these products. Read this article further for the comparison between NutriBullet Prime and NutriBullet Pro and make an informed decision on which product best suits your needs. As the name suggests, the Nutribullet 1000 Series has a bullet motor with 1000 watts of power. NutriBullet 1000 series had been launched at the end of the year 2016. The cyclonic action of NutriBullet Prime has 25,000 RPM which is very powerful. The power of NutriBullet Prime 1000 series is in between NutriBullet Pro and NutriBullet RX. As the power of the motor is increased, the smoothie or the juice becomes smoother, and it gets easier to crack the seeds, stems and also shedding the tough skins. As the fibrous elements pulp out of the ingredients, a person would get maximum nutrition from the fruit and vegetables due to the use of powerful motor it grinds and blends the elements very fast and very smoothly. The Nutribullet 1000 Series comes with an insulated thermos-style blending cup which keeps the smoothies cool if a person prepares it in advance for any occasion or if a person wants to drink it after some time. 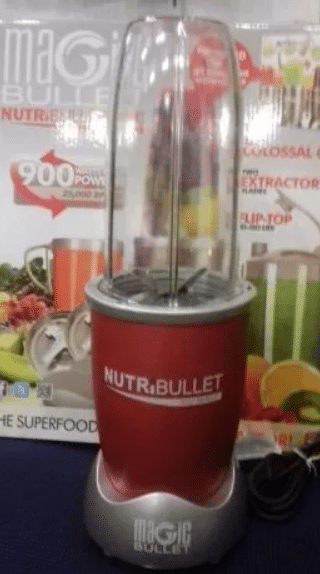 It has 1000 NutriBullet watts power. The NutriBullet capacity is about 0.9 liters, and it weighs about 2.8 kg. The Nutribullet Prime 1000 comes with two cups – a 930ml BPA-free plastic on-the-go cup and a new style of 820ml insulated stainless steel thermos cup which is used to keep the drinks cold for up to eight hours. This new style of stainless steel thermos cup is fantastic as it is beneficial during summer and when a person has to store water for a longer time. These larger cups give a greater portion than the Nutribullet 600 and Pro series for storing water. It also comes with flip-top lids so that a person can take the drinks with them as they travel around. The cups are top-rack dishwasher safe whereas the other elements of the blender need to be washed by hand carefully in warm water. The Nutribullet Prime 1000 is powered by ‘Smart Technology’ like the NutriBullet RX. Unlike the Prime 1000, it automatically selects the blending speed that best suits the ingredients that a person is putting in the cup. As per the manual, it runs through a 45-second auto-cycle, and it turns off automatically after it reaches the optimal point of extraction. Having a powerful motor has its benefits, but sometimes it can cause a problem. That is why a person should be aware that the motor is very powerful and it can generate a great amount of heat that would make the smoothie very warm. So it is better to use frozen fruit or ice in it to make sure that the drink is nice and cool and ready for serving, or you can add ice after it has been blended. Have a sufficient amount of liquid in the container. Before inserting any supplements, know about its effects on the blender. Observe the maximum capacity line and keep the number of supplements lower than that and do not overload the number of supplements. According to the reviews of many users, there is a smell of hot electric motor, and it occurs because of overloading. You definitely do not want to overload this blender. Another thing is the cups are pretty large and not as handy as previous NutriBullet products so, it might be a bit of problem to carry around except of course you really need to. Talking about the 45-second auto-cycle, some users may find this functionality useful, but according to reviews, they find it unnecessary and intrusive – so think about it before planning to make a purchase. It could be said that this Nutribullet Pro series is for those who seek an active healthy lifestyle. This blender offers excellent nutrition extraction. It has a 900-watt motor which, is more powerful than previous NutriBullet products, but less powerful than the Nutribullet Prime 1000. The capacity of NutriBullet Pro is about 0.7 liters, and it weighs 2.6 kg. The NutriBullet Pro 900 is considered to be one step ahead in terms of capacity and power of its previous version NutriBullet Pro 600. Most users are more attracted to NutriBullet Pro because of the eye-catching copper finish which makes it look elegant. It comes with two stainless steel Extractor blades which can chop, grind, shred and blend fruits and ingredients to make a delicious and healthy smoothie. It is not only used for making a smoothie, but there is a list of things which can be made with the help of NutriBullet Pro. The blending consistency of NutriBullet Pro is very good as it creates very less aeration. The NutriBullet Pro has very strong blades which are good enough to grind seeds, stem, and coffee. Users like to make iced coffee with the help of NutriBullet Pro as the coffee is very well made with it. The NutriBullet Pro helps to grind the coffee and make powder. It blends the ice very well, which increases the taste of iced coffee. It comes with lots of attachments (cups and all). ong with two blades and 4 cups. 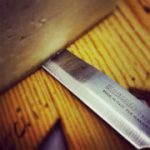 The blades are made up of stainless steel. The blades are cross and flat. One blade is used for blending, and another is used for grinding. The cups are made of non-toxic, high impact plastic that can resist shattering. The travel cup with “sip and seal” lid is best for carrying the drinks around. The parts for the Nutribullet pro are dishwasher safe. Every good thing has some flaw. Well, not exactly flaws, but few drawbacks. There is no doubt NutriBullet Pro has a powerful motor, but it is necessary to stop it periodically to cool it down. As per the instructions manual, we can use it straight for 60 seconds, but it is better to stop in between 60 seconds for the long life of the Nutribullet Pro. It should be kept in mind to stop in between so that the NutriBullet Pro does not get overheated and its condition is maintained for a longer time. Some users complain of both the blades not working in coordination, and it happens that one is working better than the other. The biggest issue which is faced by most of the users who have bought NutiBullet Pro is that it leaks a lot. Some users have used it more than 10-12 times, and it has leaked almost every time. Even the wire of the motor gets so hot that it would feel like the wire is going to burn and even the burning smell of the wire could be perceived. The cups that come along with NutriBullet Pro are not cut to a precise point, and they wobble a bit when they are kept on a flat surface. Although all the parts are dishwasher safe, some parts are shaped in such a way that it cannot be cleaned without using the hand. If you intend to blend something sticky, then it is advised not to make use of the dishwasher. 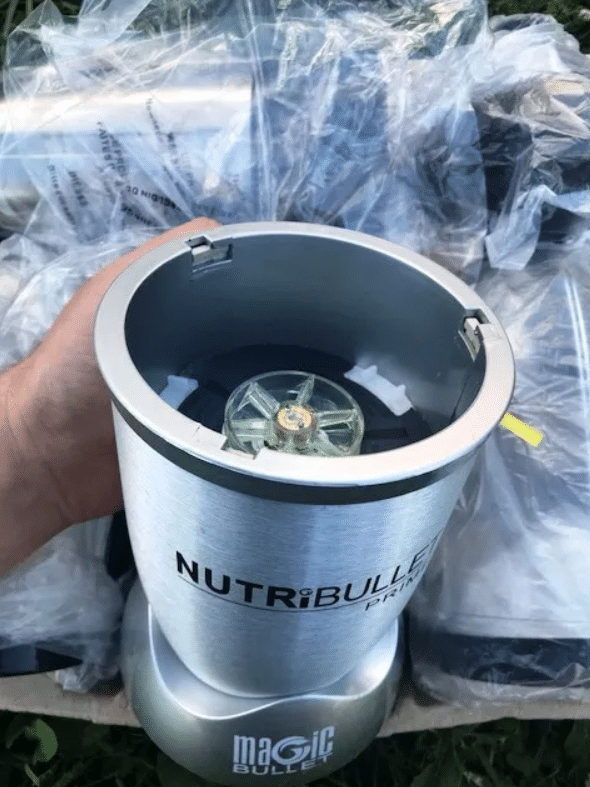 The power base runs at the same speed, with no adjustment, which might not be suitable for all the ingredients which would be used in NutriBullet Pro for blending. 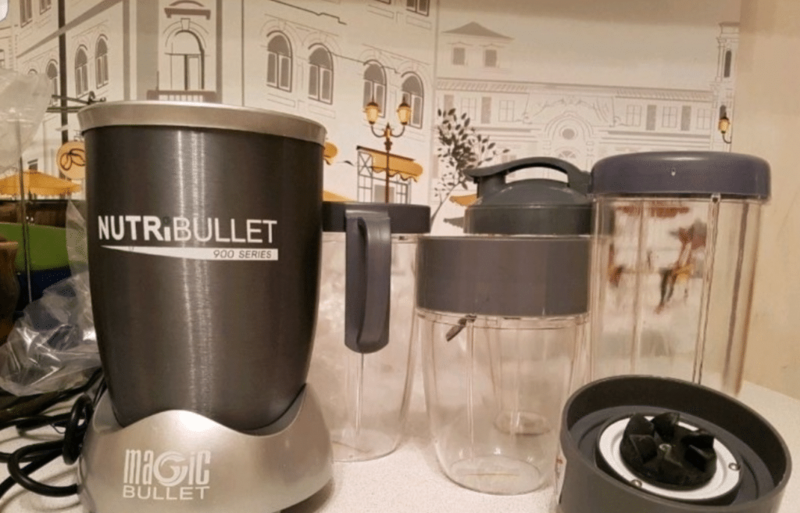 While comparing the NutriBullet Pro 900 and the NutriBullet Prime 1000 series, it seems clear that each one of it has their strengths and drawbacks that could suit your specific purpose. Both NutriBullets are ideal for creating side dishes, smoothies, and frozen dessert recipes and much more. So for you to select one, we suggest you list down your requirement and then see which product suits your needs the best. Both the Nutribullets are highly efficient and are a great buy. Breville Juice Fountain Cold Review. Making the Best Juices with Each Spin !